Delirium_Comics' booth, featuring 2167 items, including Cisco CP-PWR-CORD-NA Power Cord (North America) (Discontinued by Manufacturer). A notification has been sent to Delirium_Comics about your wish to chat with them. If they are available, they should be around within 5-10 minutes. 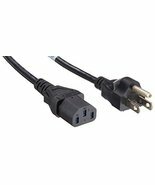 Showing 1 product in "Other Computer Cables"